One of the obstacles VR faces in jumping from virtual to reality is the wires themselves. Being able to get up and walk around with the HTC Vive - and soon the Oculus Rift - is fantastic, but you're still limited by those cumbersome cables. As it turns out, the HTC Vive can indeed go wireless, but you'll need the help of a new accessory to do it. 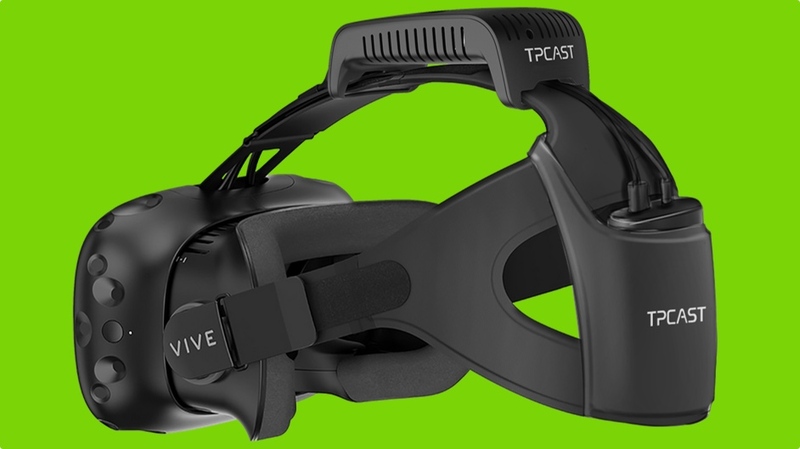 HTC has opened pre-orders for a $220 add-on produced by TPCast, a startup within the company's Vive X accelerator program. Speaking to UploadVR, Alvin W. Graylin, China Regional President of Vive at HTC, said there is "no noticeable difference" in performance when using TPCast's device, so latency shouldn't take a hit. The add-on affixes to the headset and runs on a battery that should give you about an hour and a half of play, although HTC says it plans to put out a longer-lasting battery in the future. It's interesting to see this coming direct from HTC itself, and suggests this tech may come embedded with future headsets, be it from HTC or any other manufacturer that works with Valve's VR technology.